When we have the Kate McKinnon brand of kooky comedy that can elevate anything, we never ever question the deployment! Wind her up, set her loose and watch her wring laughs out of any flimsy, high-concept premise. It is the same with the action-comedy The Spy Who Dumped Me. Co-written and directed by Susanna Fogel, McKinnon has the talented and beautiful Mila Kunis to match her comic timing. And boy! do they have fun? Hell ya! When the dashing and mysterious Drew is busy dealing with the Lithuanian thugs after dumping his girlfriend Audrey (Mila Kunis) via text and leaving her heartbroken, she is cheered up with a birthday party and the attention of a randy Ukrainian man. The best friend, Morgan is Kate McKinnon, an oddball actress whom Drew once referred to as ‘a little much’. The party is short-lived because soon the girls are ensnared in the remnants of Drew’s failed spy plot. In a brief appearance Drew instructs Audrey to deliver a trophy to a cafe in Vienna that sets the women on a roller coaster ride, globetrotting across Europe as highly untrained yet surprisingly skilful rogue operatives. What follows is the standard-issue spy stuff: double-crossings, handsome MI6 agents, treacherous Eastern European assassins (Ivanna Sakhno), harried car chases and shootouts in picturesque cafes, as well as a distressing disregard for human life. Except that the heroes are just a pair of clueless women. The film seems built in part around a gag in which a sniper is instructed to take out two dumb American women, but can’t distinguish who the targets are while scoping out a pairs of female tourists selfie-ing, grinding on ancient statues and puking into a river. It’s a lowest-common-denominator gag that ends up a cruel jab at the film’s intended audience. The Spy Who Dumped Me sometimes isn’t sure what it wants to be. An ambitious hybrid, it sometimes is an action movie, replete with zig-zagging chase scenes and in between the skull cracking, it’s a comedy in which Kunis and McKinnon trade goofball best-friend wisecracks. Kunis is a terrific comedian, particularly suited to screwball mayhem because nothing seems to faze her. What makes the movie interesting are not the twists and turns of the plot, but what McKinnon fills into the interstitial moments — strange asides about how her teeth are so freakishly strong her orthodontist published a paper, some incredibly bad and prolonged French-speaking jokes about how she went to theatre camp with Edward Snowden. Her partnership with Kunis is a winsome cipher. 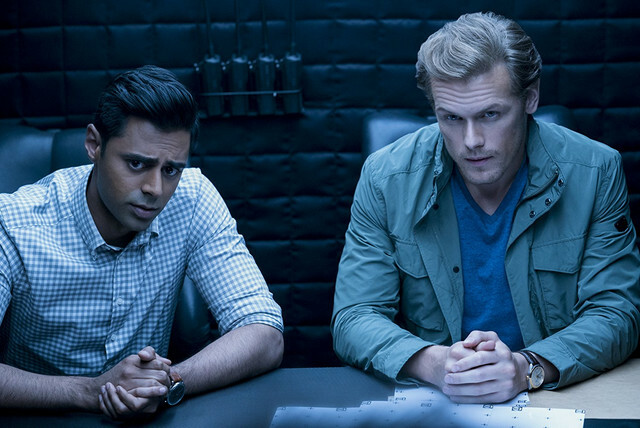 Then there is their dashing CIA/MI6 counterparts, Sebastian (Sam Heughan) and the smack-talking Duffer (Hasan Minhaj), who’s obsessed with his alma mater, Harvard. A silly joke that’s rendered increasingly hilarious with each detail and repetition, like Morgan’s elaborate acting resume. In an otherwise insubstantial film it’s the humour housed in the connective tissue that helps it rise. Though some of the beloved character actors pop up — Jane Curtain, Paul Reiser, Fred Melamed — but remain underused. So thank goodness for McKinnon, who launches this middling material to greater heights through her own sheer will. Writers David Iserson and Susanna Fogel, who also directs, have lofty ambitions here. With Kunis’s sly comic talents providing a perfect foil for the wacky wonders that McKinnon offers, they want to make a comedy entirely driven by its female leads. They also want to create a genuinely thrilling action movie full of car chases, gunfire and explosions. And they aim to show how the women can simultaneously power the action and undercut it. They succeed up to a point, after which the film starts to flounder for plots and jokes that begin to subside eventually. All in all, it is a two hour of light comedy with thrills and handsome agents thrown in for a light weekend watch.